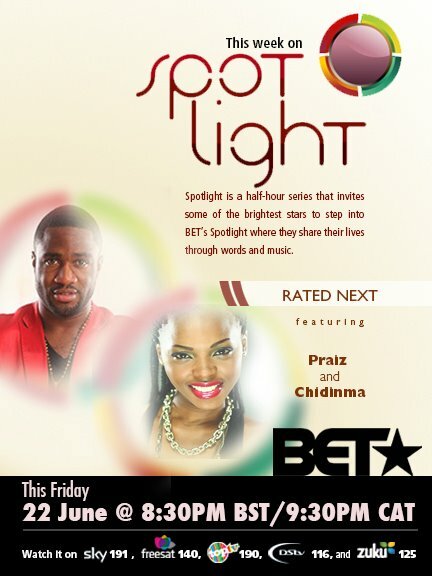 Friday ,June 22, 2012 , Nigerian singers Praiz and chidinma will feature on weekly BET Spotlight . The two will talk about their journey so far in the music industry and their forthcoming projects. The show tagged Rated Next airs 9:30 PM CAT .The show has featured many popular nigerian artists.